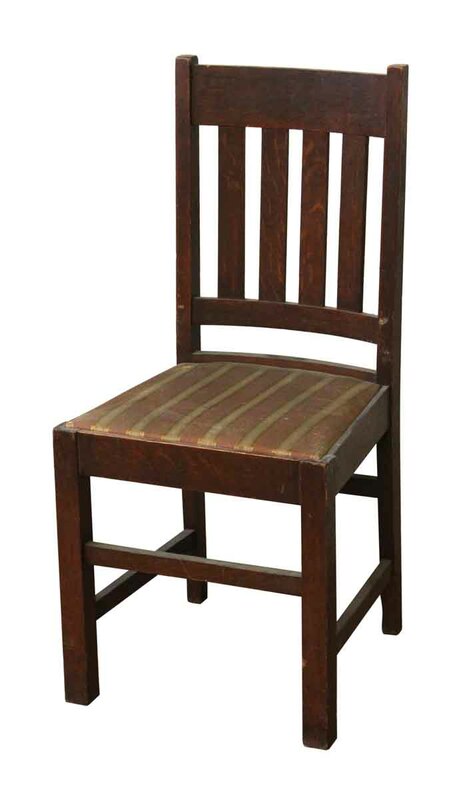 Solid oak chairs with worn striped seats. 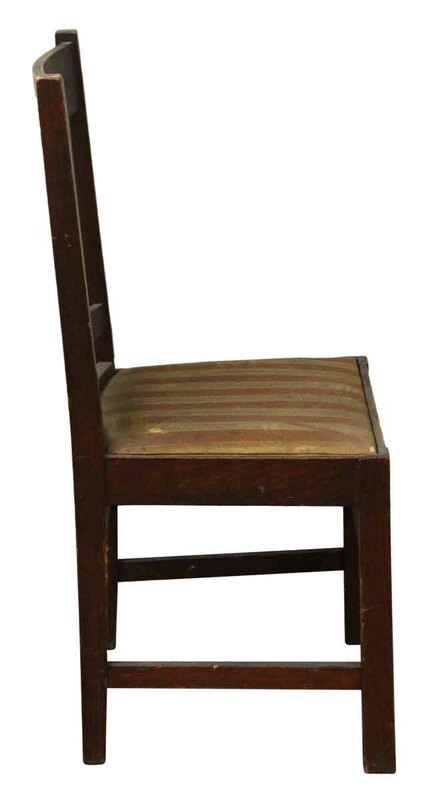 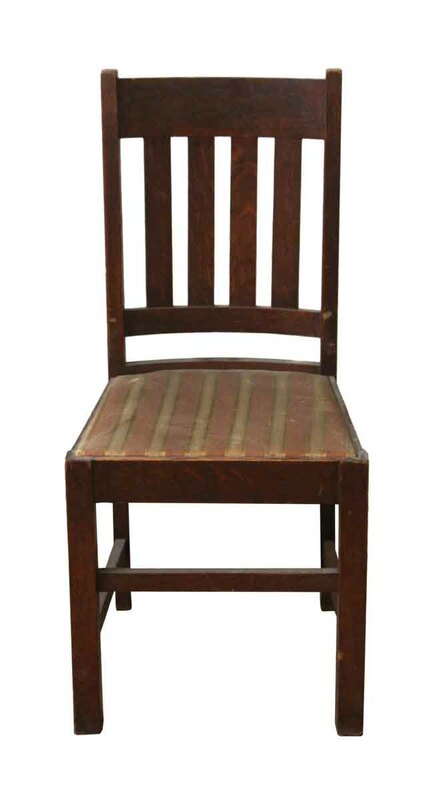 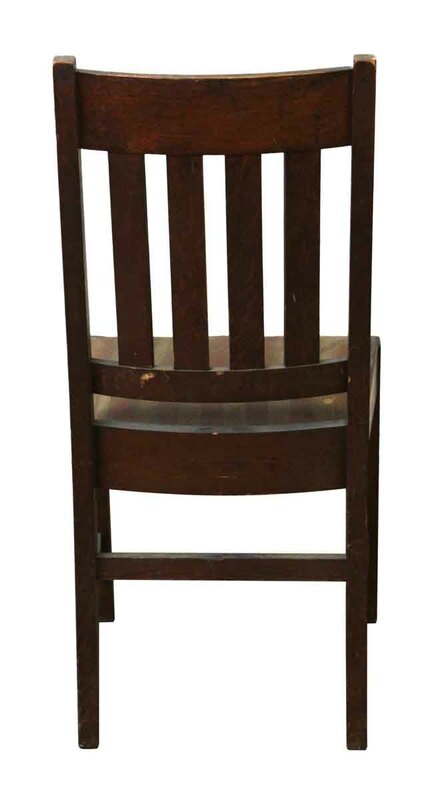 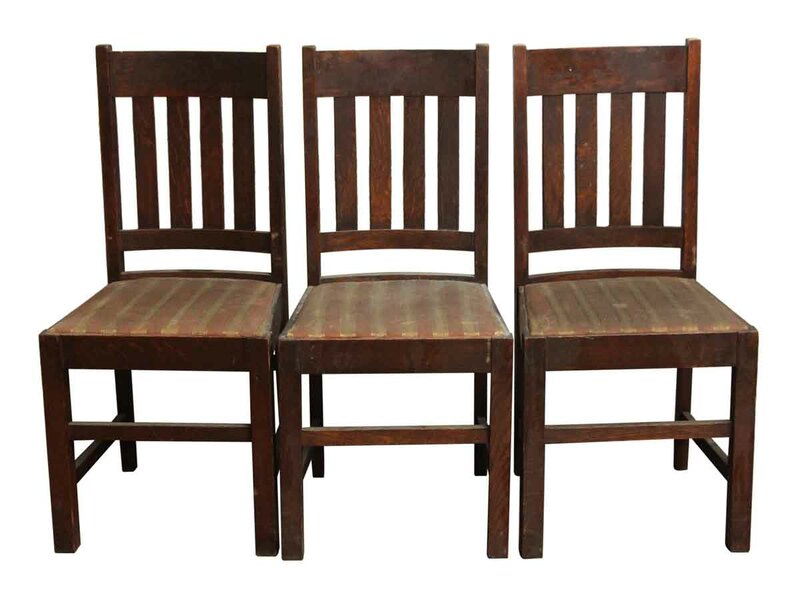 These chairs are so solidly built that they are worth restoring with a little TLC. 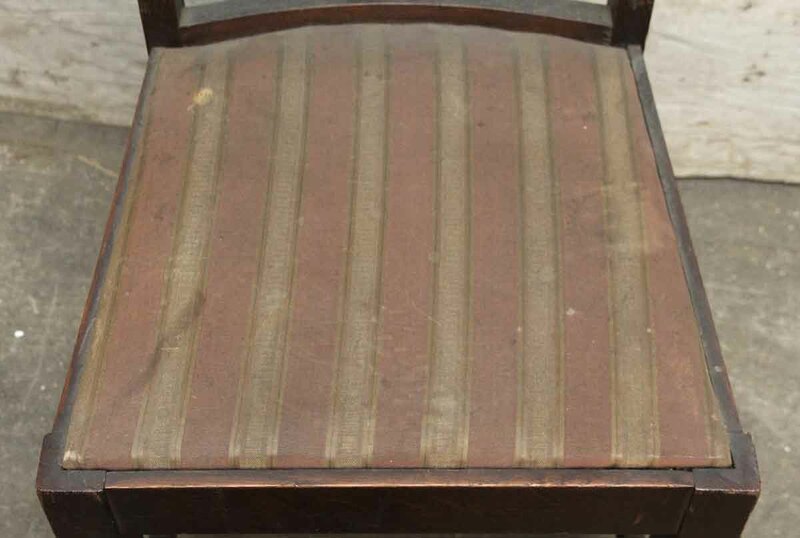 Priced as is, for the person who is ready to rip off and reupholster the seats. 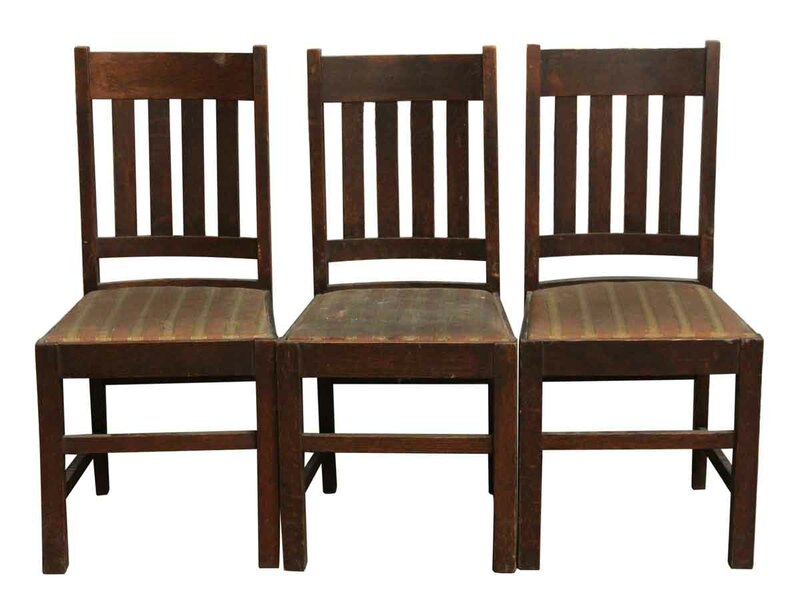 The frames are solid and just need some sprucing up.